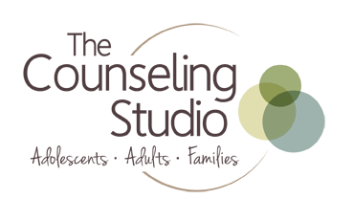 I started The Counseling Studio to be a place where clients can come to find peace. I'm a great listener, a hard worker and a non-judgmental guide into your life. I will validate, empathize and challenge you to learn more about yourself. I am not the kind of therapist who stays silent; our work is an on-going, healthy conversation. I'm the only therapist in the area with a Post-Master's Specialization in Child and Adolescent Therapy. I adore children and am a sort of "teen whisperer." As a mother myself, I understand how hard it is to have a child who is hurting. I will use my credentials and experience to help your child heal and grow. I feel very strongly that children, and especially teens, need a place to vent, to cry and to get angry in a healthy way. I hold the position of therapist to your child very sacred, and will work with you solve issues. I have successfully completed The Gottman Institute's Level 1 Training for clinicians which emphasizes building stronger marriages and creating lasting change. I understand divorce better than most. I know what divorce does to families. Using the latest techniques plus my unique spin, I can help your family heal from divorce. I am knowledgeable on the process of divorce and the emotional toll it takes. Read my ebook, Surviving Divorce: A Step by Step Guide on Amazon - click here. I understand terminal illness and caregiving better than most. Caring for a terminal loved one is uniquely painful, only those who know get it. I know, and I can help you navigate the anticipatory grief. I believe in the power of counseling and the connection between people. You will feel heard, empowered and strengthened by the therapeutic process. Further, I believe we all have what it takes to find our passion, fulfill our dreams and heal ourselves - sometimes we just need encouragement to find it. I am a Licensed Professional Counselor (LPC) with a Master’s Degree (MA) in Counseling from Oakland University and a Bachelor’s Degree in Advertising from Michigan State University. I am a Board Certified Counselor (NCC) and a professional member of the American Counseling Association. My theoretical orientation is different for each client. I use Cognitive-Behavioral Therapy, Attachment Therapy and Rational Emotive Behavioral Therapy, usually combined with an existential twist, to create a unique approach. I believe counseling is for the courageous. It takes guts to be vulnerable enough to talk to a counselor about your life, it takes effort to work on yourself and it requires strength to move in a different direction.